SANCTUARIE DESIGNS BRAND RUNS MUCH LARGER THAN THE NORMAL PLUS SIZES. Please check the size chart with a tape measure to find your size. Sanctuarie Designs RUNS LARGER than typical brands. Please look at our size chart in the product description for the following: Bust(Chest), Hips and Length measurements. Measure the fullest part of your chest to get the chest measurement, and repeat for the hips. For length measure shoulder down. 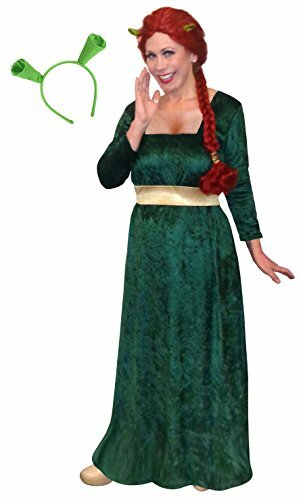 This is a Women's Plus Size & Supersize Princess Fiona Shrek Halloween Costume Dress. 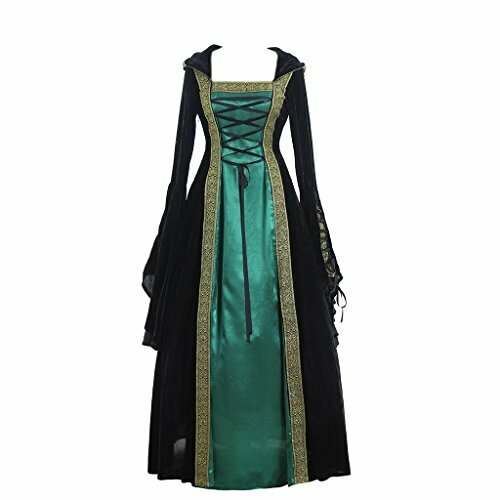 Planning to be a Princess Fiona from Shrek this Halloween? The dress is fabulous! It is a crush soft velvety material(which is actually a washable poly blend! ), with a square neckline and short sleeves with a gold belt. 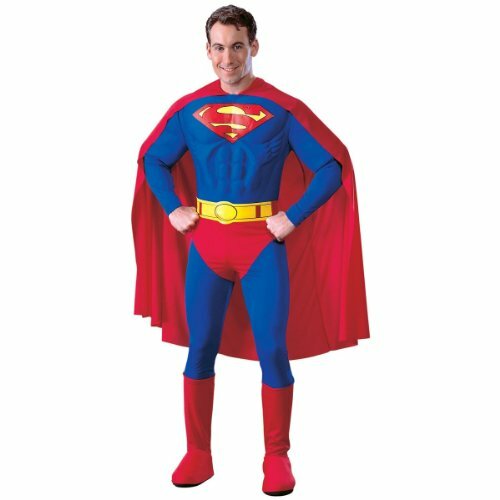 It's available in the standard length as shown at 50/52" inches long or taller. Available in plus & supersizes from 0x to 9x! 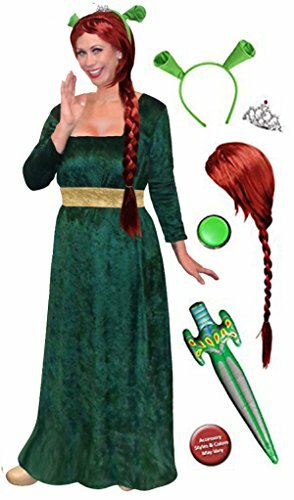 Dress only, wig & ears sold separately.